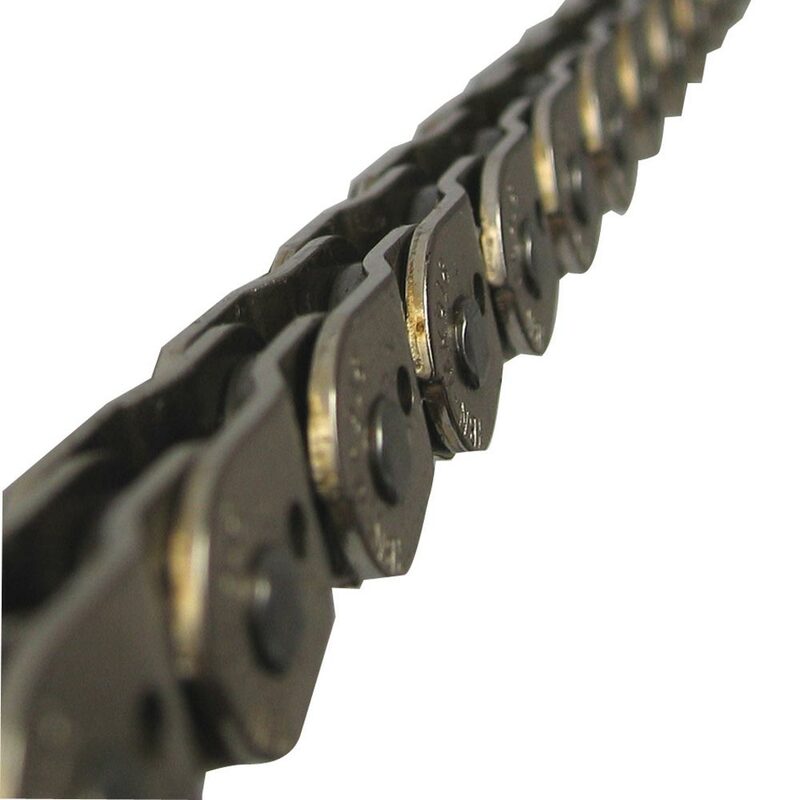 Attractive style Cranked link chain (made entirely from 1/2 links). Each link overlaps the next, combined with square riveted pins, reduces risk of chain breakage (falling apart). Grind friendly straight outer plate edges, avoid getting hung up. Cutaway inner plate edges give improved sprocket wrap, allowing perfect running down to 8 teeth sprockets. Slotted plates, reduce excess weight. SCM steel with Carburized Nitrogen heat treatment provides breaking strength of 1300Kgf.